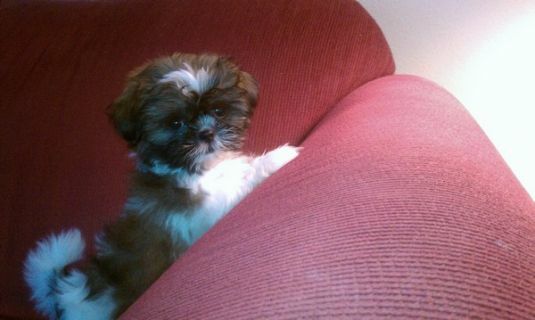 Tashi is a tri-colored Shih Tzu. She was born on June 7th and lives in Yalaha, Florida. She has her Canine Good Citizen certificate and spends here days visiting sick patients at the local nursing homes. She brightened the day of so many people. She just loves everyone.